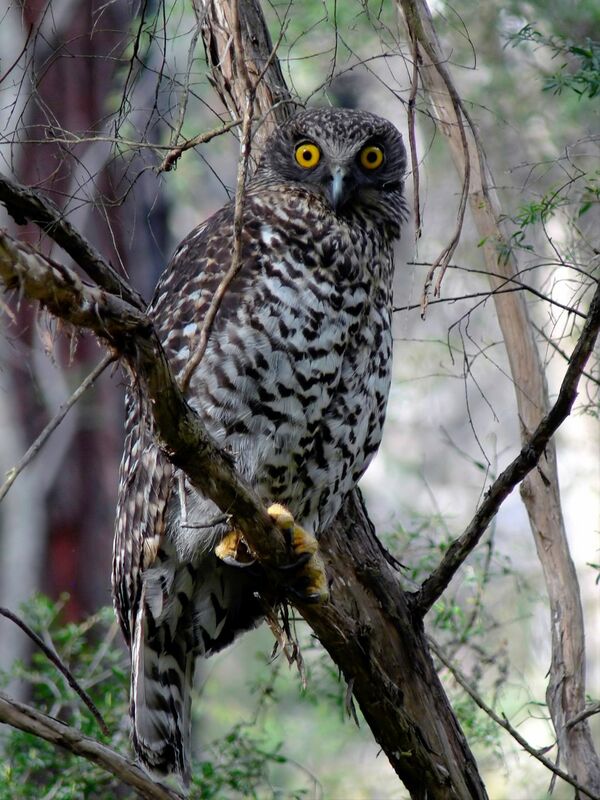 VicForests logs Powerful Owl habitat for …. firewood? You’ve got to be joking, right? VicForests are spruiking the importance of firewood as a sustainable product from Parlour’s Creek coupe. Is firewood really such an important part of their business model? Which kind of means that they’re logging Powerful Owl and Greater Glider habitat for firewood! Strathbogie forest rally – c’mon Lily, get on-board. Locals care about their forest. Why are we fighting for a better deal for our forest …. 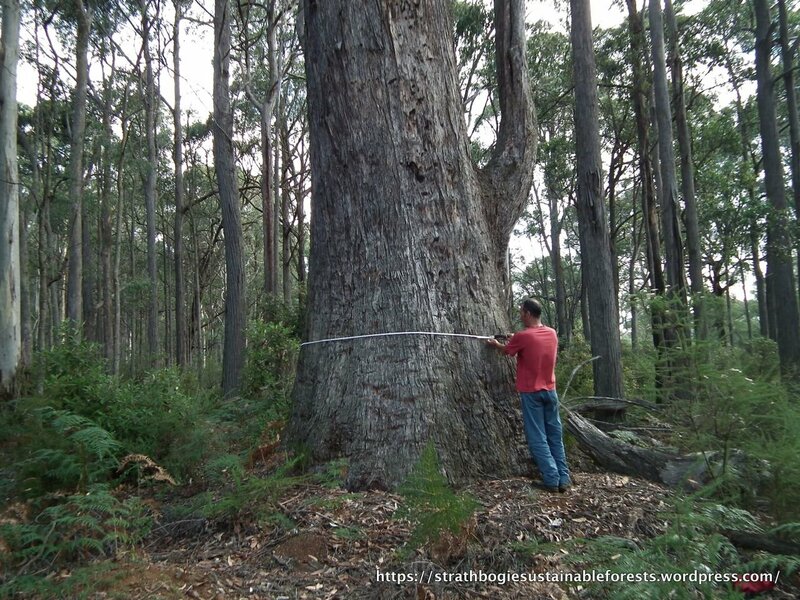 A giant Messmate in the Strathbogie Forest – note the regenerating pole forest from previous logging. We know that the Strathbogie State Forest is the last stronghold for both the Powerful Owl (FFG Act) and the Greater Glider (EPBC Act) in the Strathbogie Ranges. More than 80+% of the native forest in the Strathbogies has been cleared and the remaining native forest is now isolated from similar forests to the east and south. 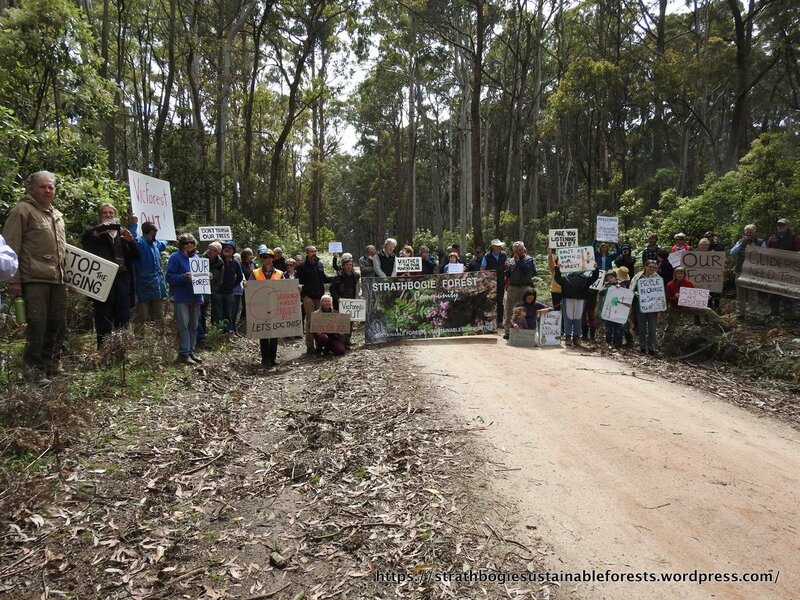 This forest and the regional community it supports and nurtures are getting a raw deal from the Victorian Government. An open letter to the Premier of Victoria, the Hon. Daniel Andrews. VicForests have announced (again) they intend to start logging Parlour’s coupe – start date is Monday 14th November. Sign our on-line petition calling for a moratorium on logging in the Strathbogie Forest, pending a VEAC investigation into the forest’s values. The Strathbogie Forest still contains some real gems, but the quality of the forest is, without doubt, severely degraded after a century of logging and the last 30 years of over-cutting. Now, VicForests wants to log some of the best native forest left in the entire Strathbogie Ranges! And they intend to do it without even knowing what values the forest contains. The community has shown that this forest is home to Koalas, Greater Gliders, Powerful Owls and Long-nosed Bandicoots, as well as century-old Blue Gums, Messmates and Mountain Gums. Forest management doesn’t have to be either logging, or conservation but by logging Parlour’s coupe now, without properly assessing forest values, VicForests is demonstrating it couldn’t care less about any forest value other than timber. So much for all their glossy motherhood statements trumpeting ‘protecting biodiversity‘, ‘sustainable forest management‘ and adopting the ‘precautionary principle‘. Sign the on-line petition and then share it far and wide. Click on a pic to view the slideshow. Mt Strathbogie, with Parlour’s Creek catchment in middle distance. The survival of this Parlour’s coupe Koala is uncertain. This sleepy bear is in for a rude awakening.